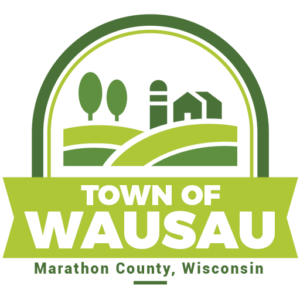 Notice is hereby given that the Board of Review for the Town of Wausau,Marathon County, Wisconsin, shall hold its first meeting on May 28th , 2019 from 6:30 pm. to 8:30 pm. Open book session is scheduled for May 20th , 2019, from 4 pm.to 6 pm. at the Town of Wausau Municipal Building, 161484 County Rd. Z, Wausau, WI 54403. The assessor will be available for open book session during these time periods. 6. No person may appear before the board of review, testify to the board by telephone, or object to a valuation if that valuation was made by the assessor or the objector using the income method of valuation, unless the person supplies the assessor with all the information about income and expenses, as specified in the assessor’s manual under s. 73.03 (2a), Wis. stats., that the assessor requests. The Town of Wausau has an ordinance for the confidentiality of information about income and expenses that is provided to the assessor under this paragraph that provides exceptions for persons using information in the discharge of duties imposed by law or the duties of their officer or by order of a court. * The information that is provided under this paragraph, unless a court determined that it is inaccurate, is not subject to the right of inspection and copying under s. 19.35 (1), Wis. stats. 7. The board shall hear upon oath, by telephone, all ill or disabled persons who present to the board a letter from a physician, surgeon, or osteopath that confirms their illness or disability. No other persons may testify by telephone unless the Board, in it’s discretion, has determined to grant a property owner’s or their representative’s request to testify under oath by telephone or written statement. Notice is hereby given this 1st day of April 2019.